ourscreen allows film fans to watch the films they love at their local cinema, whether that’s a cult classic, foreign thriller or modern masterpiece. Fans can start by creating their own screening, or by booking tickets to screenings hosted by others. Our crowdsourced model means that as long as enough people book tickets, the screening will go ahead. For first-time hosts or first-time ticket buyers, this page is designed to help you navigate the waters to creating a screening and booking a ticket. Our hosts held over 500 screenings last year, but it always helps to have Hooper driving the boat. Hosting your own cinema screening is easy. Simply pick your film, choose a cinema, select a date and time, and invite your friends. Learn more about becoming a host. For your own screening, you’ll be the one to buy the first ticket. Otherwise, just find a screening you’d like to attend and book a ticket as normal. Learn more about booking tickets. 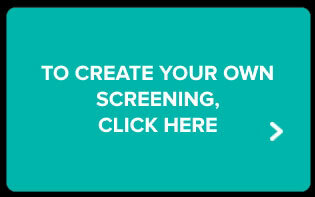 Anyone can set up a screening with ourscreen. Follow four easy steps – picking a film, cinema, date and time – and you can become the host of your very own cinema screening. Firstly, you need to pick a film. We have access to over 10,000 films on ourscreen, from Arrival to Zoolander, with around 600 available to screen at any one time. Once you’ve decided to create a screening, you can explore our entire list of films, or search for a specific title. Then choose the Lighthouse Cinema, Newquay from the venue list. You can now decide when you want to watch the film in the cinema. Clicking on a date will show you the available time slots, and you can play around to find the date and time that suits you. We recommend you give yourself at least three weeks to sell enough tickets. Lastly, there are two types of screening – private and public. If you create a private screening you’ll need to tell us roughly how many people you want to come. That’s how we calculate the price of each ticket. With a public screening, anyone is able to buy tickets and come along. For public screenings, we use the standard Adult ticket price at the cinema you’ve chosen and work out the minimum number of tickets you’ll need to sell for the screening to go ahead. At this point, we’ll also tell you the date by which you’ll need to sell them. Once you’re happy, simply click Create Screening. The only thing left to do is buy the first ticket and your screening will be activated. Share it with your friends, and we’ll see you at the cinema. For any questions on setting up a screening, please visit our FAQs or contact us. 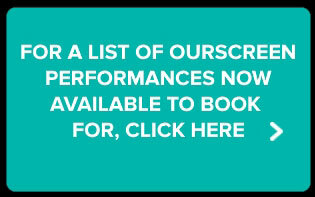 Booking tickets to a screening is even simpler than creating your own. Select the screening you want to attend – like you would with any cinema screening – and hit Buy Tickets. Enter the number of tickets you would like to buy and follow the steps to complete the booking process. It should take just a couple of minutes to book your tickets. Unless the screening is a special event, the ourscreen price is always the standard Adult ticket price set by the cinema hosting the screening. Importantly, we only charge your card once the screening is confirmed. We reserve the value of the tickets, but if enough tickets aren’t sold and the screening doesn’t go ahead, the money is released and you won’t be charged. If the screening is already confirmed when you come to book, you’ll be charged straight away. What if it’s my own screening? If it’s your own screening, you’ll be asked to buy the first tickets in order to activate the screening. Simply follow the instructions on screen to book the first ticket. But as above, you’ll only be charged once your screening is confirmed. If the screening is confirmed, you’ll receive your tickets via email three days before the screening. Your ticket is a code, which should be shown to the ticket attendant at the cinema on the day. There’s no need to go to the box office – head straight for the screen. The screening isn’t confirmed yet – what can I do to help? To support a screening you’ve booked tickets to, and help it sell enough tickets, start by sharing it with your friends. If you’re looking for some ideas on how to promote your own screening, we’ve got a few here. We’re adding more cinemas and films all the time, and new screenings are set up every day. If you cant find what you’re looking for, or just fancy a chat, please get in touch. You can also read our FAQs here.